We are 100 years old! 2017 was an exciting year for the children, families, staff and wider community of Woodville as we celebrated our centenary with two incredible and ambitious projects. 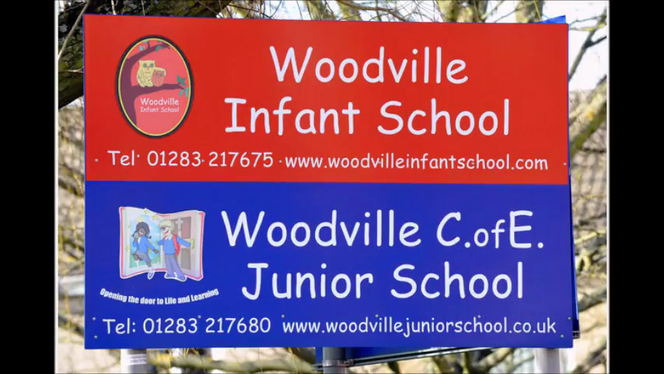 Over the coming months, the children will be exploring the heritage, history and geography of Woodville. Learning more about their community and environment - the people, places and stories, its unique characteristics, and the changes and challenges of the last one hundred years. We plan to celebrate this learning and its importance with an exhibition in the local community for everyone to enjoy. 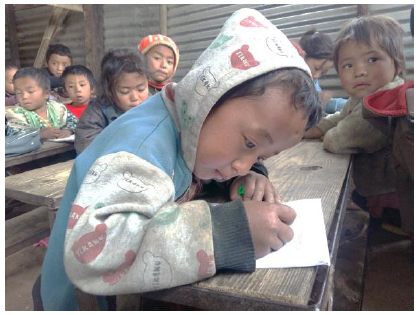 We are going to raise £15,000* and Build a Woodville School in Nepal. As part of our legacy we are going to support the charity “Nepal Cyclist Ride to Rescue” (NCRR) https://nepalcyclist.com and help to make a difference to the lives of hundreds of children by building them a safe place to learn. You probably remember that in April 2015 Nepal was hit by a devastating earthquake, as a result thousands of people were killed, with hundreds of thousands more being made homeless as entire villages were flattened. 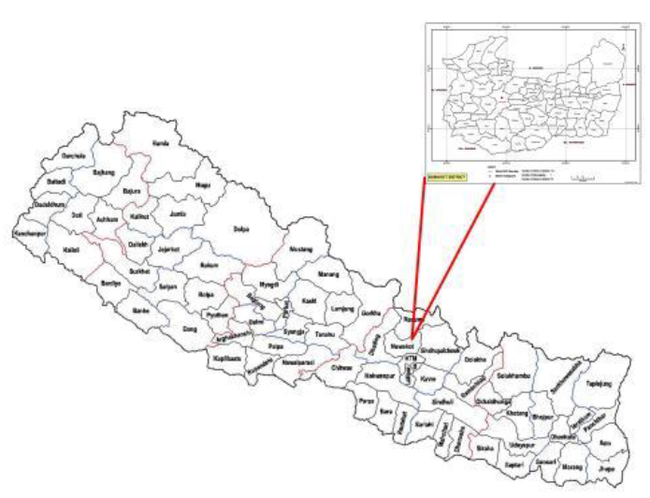 Nepal was already one of Asia’s poorest countries and it cannot rebuild effectively. 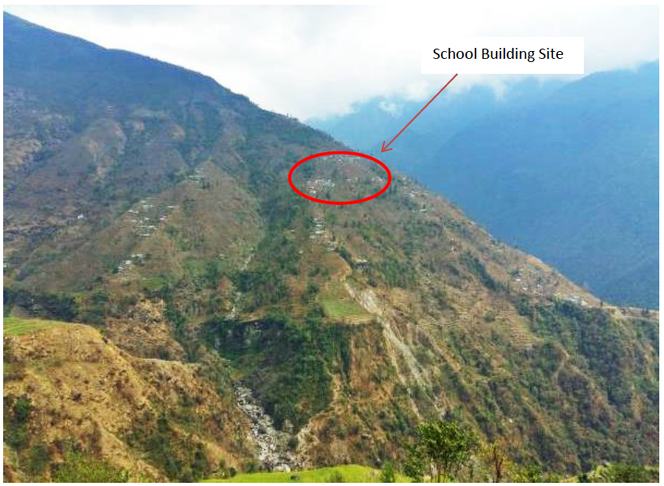 Ghyangphedi Village in the Nuwakot District lost all five of its primary schools and its secondary school in the earthquake. Almost three years later the village still does not have any permanent schools. The staff and children of our school are going do something totally awesome and change that. 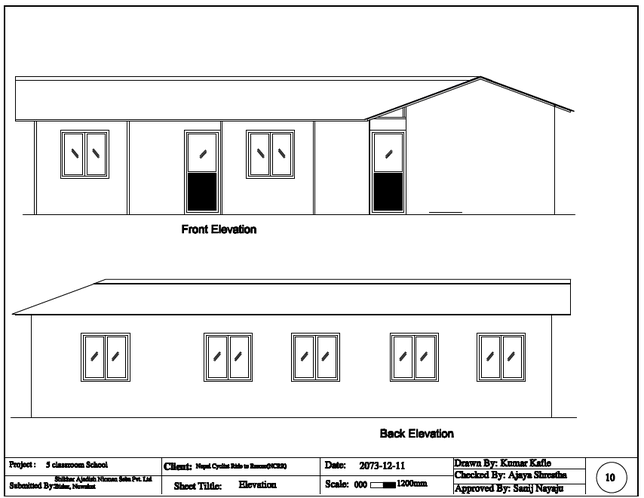 The video and gallery below provide more details on Bolun Katunje Primary School and the rebuild plans. 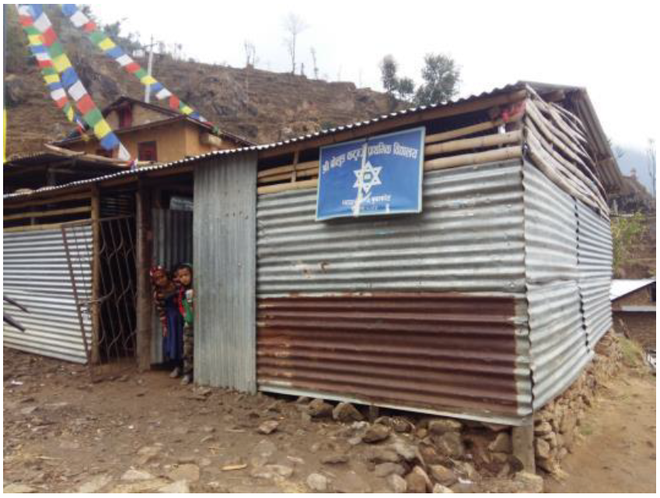 Interviews with staff and a look inside the temporary school in the village of Ghyangphedi. Keep up-to-date by following us on Twitter and Facebook @WoodvilleFed. Our Centenary Celebrations began on Friday 10th February when over 150 Grandparent’s, older relatives and local residents joined us in School for a Tea, Coffee and Cake Afternoon. Our Year 6 children hosted the event and chatted to the guests, keen to hear stories of Woodville’s past. Many of the visitors brought along photographs and mementos of their time at Woodville. The day concluded with the launch of a Balloon Race featuring 300 red and blue balloons. Family members purchased the race tickets and crossed their fingers that their balloon would travel the furthest and they'd win the fantastic bundle of prizes donated by local businesses. We raised an amazing £866.17 on our first day of fundraising! If you'd like to find out more, watch the video below and read the Burton Mail article. We are receiving balloon race tickets from much further than we expected - check out the ZeeMap link below. An afternoon of celebrations to mark our 100th Birthday. Our second fundraising was a hopping success - the annual Easter Eggs-travaganza. 302 families joined us for an afternoon of Easter fun with their children; they explored an Easter egg trail in the School and surrounding grounds, got creative in the arts and crafts corner, enjoyed a hot-cross bun and drink, as well as listened to a story (and maybe even had a photo) with the Easter Bunny. It was a crackin' afternoon and we raised another £410 towards building Woodville Nepal! On Thursday 27th April, we launched our exclusive clothing and merchandise range available to order for a limited time only. All profits from sales will go towards building Woodville Nepal. All items are allowed to be worn for P.E. & Games lessons, plus during June and July the children and staff can wear them in place of their normal uniform! The flyer and order form are available below. 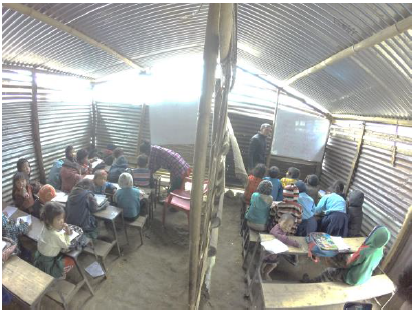 Ordering is now closed with £291 profit for Woodville Nepal! On Friday 12th May, Mr Goodridge, his father, Dave, and brother-in-law, Charlie Whittaker, completed a 100km road bike ride for their #Woodville100 Challenge. Whilst the intrepid trio were braving the roads from Woodville to Matlock and back (and the pouring rain), the children and staff in both Schools were attempting to keep pace by riding static bikes - kindly provided by Dave & Fleur of Cycling 2000 in Burton-on-Trent - and scooting around the Foundation Stage playground. Cycling 2000 also provided GPS tracking of Team Goodridge and you can see a simulation of their route at https://www.relive.cc/view/982736504. A special thank you goes to the Y6 House Captains who did a fantastic job of getting all the classes in the hall in a timely manner, organising their teams and motivating the younger children. The Infant children kept scooting until the end of the day and exceeded their 100km (2,174 laps of the Foundation Stage Playground) goal by 22.5km - an extra 490 laps! The Year 6 House Captains also kept this event running smoothly and efficiently. The staff in the dry and warm hall managed 92km between them, so it was lucky that Team Goodridge cycled 108km each. Add Mr Goodridge Junior's extra 8km to their 92km and they thankfully hit 100km! Team Goodridge's incredible fundraising total so far is here: https://www.youcaring.com/thechildrenofghyangphedivillage-766702. Children across the Federation made a donation to wear their own sports gear which raised £330.08. Three weeks ago, I sent a an informative email about the Centenary project and what the children, families and staff of Woodville were hoping to achieve. Mr Aran was interested in finding out more about our exciting work and scheduled a meeting. I'm not used to being invited to embassies, it's certainly not the norm for a Friday morning, and I must say I was a little bit nervous! However, Mr Aran and the other officials I met were extremely hospitable and keen to hear more about our aims and achievements so far. The portfolio I took with me included: a context on the Schools and Woodville, a timeline and photos of events (past and future), newspaper clippings and the building plans/official proposals. 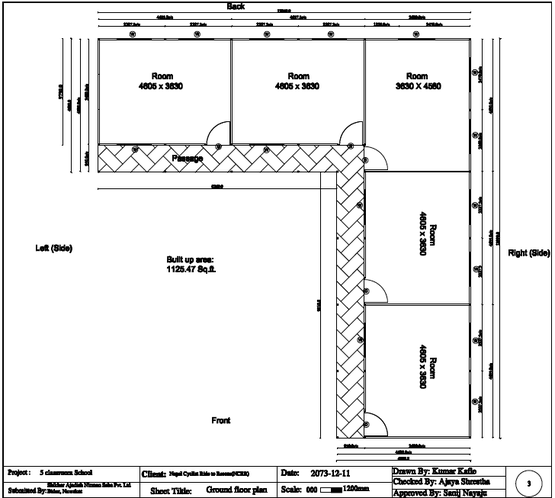 Mr Aran was pleased to hear that we are funding the building of a school in such a remote and deserving village. 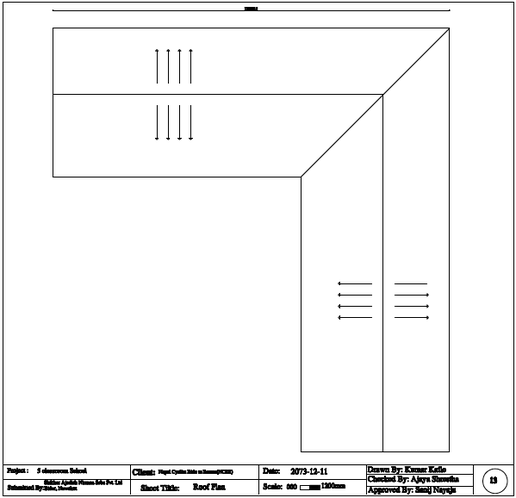 He also had some ideas on how he could use his connections to help us with our fundraising - I look forward to sharing these with you when I have the full details. And of course - the contents of the gold box? A gift to the people of Nepal and a symbol of Woodville's rich heritage - a Bretby Art Pottery Vase, circa 1930. It was a privilege and honour to meet Mr Aran and I was incredibly proud to share with him what our incredible children, supportive families and talented staff have achieved so far, so thank you for your passion and valuing such a worthwhile project. P.s. before you ask there were no Ferrero Rocher served! We are delighted to announce that all the profits from our second Film Night have been added to the Families & Community pot - that's another £400.55! Thank you to all the children who attended. Coming in June... Collectable Centenary Wristbands, a Grand Raffle and the Celebration Day! Our amazing children, families and staff are leading the fundraising and we are asking them to generate their own sponsorship based on a challenge around the number ‘100’. They could be… cycling 100km… swimming 100 lengths… planting 100 flowers… reading 100 days in a row… dancing for 100 minutes… learning to say “hello” in 100 languages… washing the dishes 100 times… in fact, their ideas are far more incredible and we are excited to see how they progress over the next 100 weekdays! On Friday 30th June, we will host a final whole school fundraising celebration event and reveal the grand totalizer for all the ‘Woodville 100 Challenges’. If you need a new sponsorship form, there's a link below. Our children are incredible - they have raised £2,586.95 completing their #Woodville100 Challenges! Discover their stories on Twitter & Facebook and see who has been awarded certificates so far! Please spread the word about what we are trying to achieve as we welcome working with other community groups and local businesses. Please follow us on our new Twitter and Facebook account @WoodvilleFed and share your memories of Woodville, plus fundraising moments, photos and amounts with the #Woodville100. These are incredibly exciting projects; and by combining the passion we have for our community and the values we hold dearest, we believe our fabulous children, generous families and dedicated staff will create something truly special and a lasting legacy to be proud of.